After France, Italy, Spain and Germany, it is now the Netherlands’ turn to embark on a year of cultural exchange with Russia. A series of events, inaugurated in the Netherlands in March, will continue until August. In Russia, the program will begin in May and end in November. “This year of exchange is of very great importance, not only for cultural relations but also to strengthen the economic and political ties between the two countries,” says Sjeng Scheijen, the Dutch coordinator of the cultural exchange year. It is in the economic field that the network of cultural exchanges will be the most substantial. Events on themes ranging from defense to sustainable energy will be held during the year in both countries, involving both private and governmental entities. A forum and discussions devoted to the Russo-Dutch market marked the inauguration of the cultural exchange year in the Netherlands. Meanwhile, the Netherlands has been invited to participate in the International Jurists Forum in St. Petersburg in May, where it will be represented by the minister of justice. The traditional International Economic Forum, held in St. Petersburg in June, will also welcome a delegation from the Netherlands headed by the prime minister. Cooperation between the museums of the two countries reached a peak in 2009, with the opening of a branch of the Hermitage Museum in Amsterdam. At the time, the building was sold for one symbolic euro by the municipality; its restoration was covered by private funds collected by the Hermitage. Since then, thousands of visitors have been able to view works from the Hermitage’s vast collection – in particular, paintings by Impressionists whose works are rarely seen in Dutch museums. The Russo-Dutch Cultural Exchange Year opened at the Hermitage-Amsterdam with an exhibition entitled “Peter the Great, an Inspired Tsar.” From paintings and jewelry, to documents and antique weapons, the exhibition paints the portrait of this unconventional ruler whose admiration for the Netherlands was well known. Three other attractions not to be missed at Dutch museums this year are the exhibitions “Great Changes: Revolutions in Russian Painting, 1895–1917” at the Bonnefantenmuseum in Maastricht, “The Soviet Myth” at the Drents Museum Assen and “Lissitsky–Kabakov: Utopia and Reality” at the Van Abbemuseum in Eindhoven. These three exhibitions alone summarize a century of Russian and Soviet art between them – from the earliest artistic revolutions at the start of the 20th century (Malevitch, Kandinsky and El Lissitzky), to Ilya Kabakov’s Foolish Art and Conceptual Art of 1970–1990 via the “official” art of the Stalinist period. In Russia, an exhibition of the abstract work of Piet Mondrian, jointly curated by the Gemeentemuseum in The Hague, the Tretiakov Gallery in Moscow and the Russian Museum in St. Petersburg, will open in Moscow on Sept. 20. In addition, the Hermitage Museum will be holding a unique exhibition of 18th-century Dutch group portraits. There will be fewer musical exchange events, but those taking place will be of exceptional quality; in any case, the program may be enriched during the year as financing becomes available for more projects. To begin with, the Stanislavsky Theatre will be staging Tchaikovsky’s opera, “Eugene Onegin,” at the Royal Theatre Carre in Amsterdam. The Mariinsky Theatre orchestra will be performing under the conductor’s baton of Valery Gergiev in Rotterdam in September, while Yuri Bashmet will be visiting Amsterdam with his ensemble of Soloists from Moscow. The excellent Amsterdam Baroque Orchestra will be presenting baroque music in Russia in October – in particular, at the Early Music Festival in St. Petersburg. Even though Valery Gergiev is regularly invited as a guest conductor to conduct the Royal Concertgebouw Orchestra, the orchestra (reputedly one of the finest in the world) has not performed in Russia for 25 years – a period equivalent to a whole generation! The Royal Concertgebouw Orchestra will make a triumphant return to Moscow and St. Petersburg in November for what is likely to be the most important event in the cultural exchange year. Finally, the Rotterdam Philharmonic Orchestra will mark the last event in the cultural exchange year with two concerts at the Mariinsky Theatre on Nov. 24–25. In the theatre, several Dutch companies will be performing works by Chekhov and Dostoyevsky. At the opera, De Nederlandse Oper will be performing “The Love of Three Oranges” by Stravinsky, under the direction of Laurent Pelly. In Russia, a company from Het Nationale Ballet will be flying the flag for Dutch culture on stage at the Mariinsky Theatre in early July. 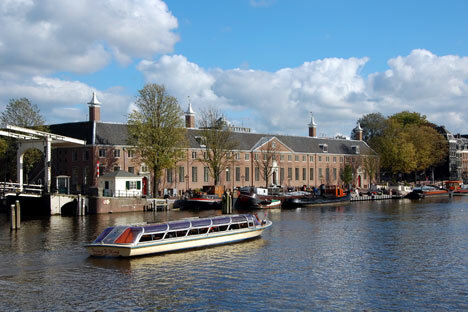 For more information visitofficial site of the Russia-Netherlands Cultural Exchange Year.